Amino Fuel is a supplement manufactured by Twinlab, a company that makes protein powder, diet pills and a variety of other sports nutrition products. Twinlab Amino Fuel contains amino acids and is intended to promote exercise benefits for athletes such as bodybuilders. It is intended to be taken with all of your meals. Despite the potential benefits of Amino Fuel, you should consult a doctor before using this or any other supplement. Although you need to engage in intensive exercise to gain muscle mass, Amino Fuel may help increase the amount you gain in conjunction with your workouts. A study from the March 2007 edition of the Brazilian journal "Revista Brasileira de Medicina do Esporte" found that the amino acid arginine, a primary ingredient in Amino Fuel, promoted increased strength compared to training without the amino acid supplementation. When trying to gain muscle, you need to consume a high-calorie diet to provide enough fuel for your workouts, recovery and muscle growth. Because of the high calorie intake, there is a risk of fat gain. Using Amino Fuel may help to limit this fat gain, as research published in the March 2010 issue of "The Journal of Nutrition" found that supplementation of isoleucine, an ingredient in the product, prevented fat gain on high-calorie diets. Increasing your levels of testosterone is important for bodybuilders and other athletes because it supports muscle gain and fat loss. 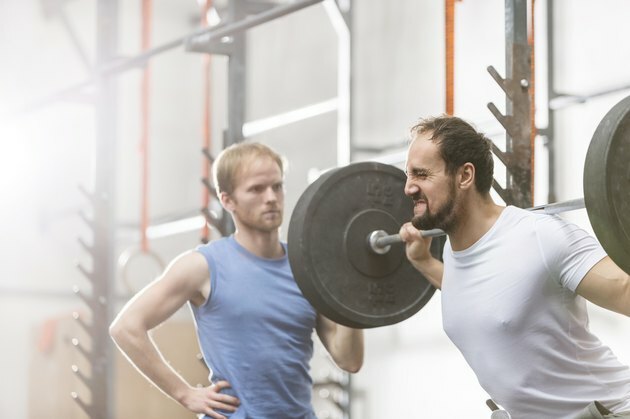 Amino Fuel contains leucine, isoleucine and valine, which research published in the April 2010 edition of "Journal of Strength and Conditioning Research" found could promote increased testosterone levels. Although strength-training can increase your muscular strength in the long run, it does induce muscle damage in the short run. Using Amino Fuel may help offset this damage, as it contains L-carnitine L-tartrate, which the August 2010 issue of "Metabolism" found could reduce muscle damage and enhance muscle tissue repair. Amino Fuel contains isoleucine, leucine and valine, which research from the June 2010 edition of "International Journal of Sport Nutrition and Exercise Metabolism" found could reduce soreness when taken prior to exercise. In addition, the August 2010 issue of "Metabolism" found L-carnitine L-tartrate could promote the same effect. What Are the Benefits of Muscle Milk? What Are the Side Effects of Cell Tech?